All our tours and excursions are backed by full public liability insurance. Attraction Tickets Direct will not be beaten on price! 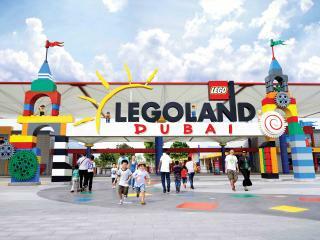 Our price promise ensures that you are getting the best value attraction tickets. We carefully select the most reputable attraction and excursion companies to ensure the highest standards of quality and care. 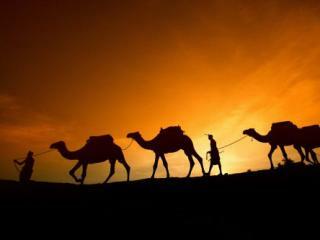 It’s always cheaper to book before you travel and popular activities sell-out fast. Fast and easy booking – Simply print and go! 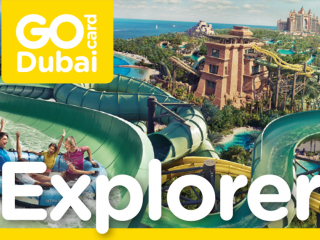 Ultimate thrill-seekers can discover the largest integrated theme park resort in the Middle East with 3 world-class theme parks including MOTIONGATE™ Dubai, Bollywood Parks™ Dubai and LEGOLAND® Dubai plus LEGOLAND® Water Park, the region's first water park catering for young families. Located an hour's drive from Dubai, Yas Waterworld is the most exciting water park in the Middle East and boasts over 40 world-class rides, slides and attractions. 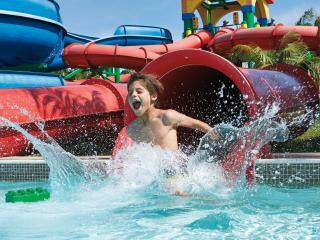 Everyone from tiny tots to water-park veterans will be in their element at this aqua paradise! 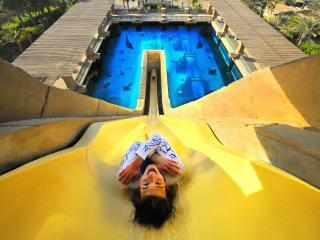 Located in front of the iconic Burj Al Arab, Wild Wadi water park offers exciting thrills and awesome spills for all the family including the gravity-defying Jemeriah Sceirah - the tallest and fastest freefall water slide outside of North America! 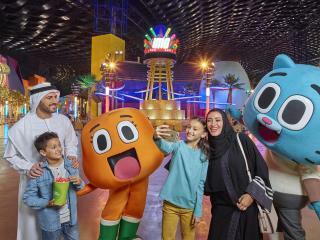 Boasting 29 state-of-the-art exhilarating rides and set over six immersive lands, Warner Bros World Abu Dhabi is one of the world's largest indoor theme parks and offers an unforgettable, action-packed day for all the family. 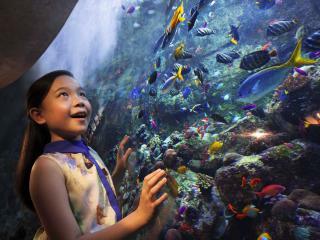 The myth of Atlantis comes alive at the amazing Lost Chambers where you’ll discover 65,000 marine animals and 10 beautiful chambers. The marine life includes delicate seahorses, stunning jellyfish, graceful rays and the world’s largest freshwater fish, the Arapaima. Meet the penguins during the “Snow Penguins at Ski Dubai” show that introduces the park’s colony of Gentoo and King Penguins! 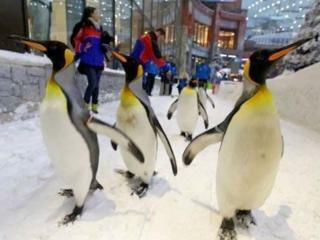 See the magnificent penguins running and playing in the snow! In a country where temperatures can soar to over 40 degrees, skiing and snowboarding are perhaps the last activities you would expect to find... but this is Dubai and anything is possible. 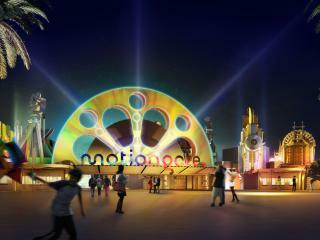 At motiongate™ Dubai, you will not only watch the movies but also become an active participant in them. Never before has a single theme park offered such world famous branded entertainment from three of the largest and most successful motion picture studios in Hollywood: Columbia Pictures including The Smurfs, Dreamworks Animation and Lionsgate. This combo gives you a chance to not only experience the magical world of movies at the Hollywood-inspired MOTIONGATE™ Dubai, but also save money when combining it with Dubai's the most exciting water park in Middle East, Aquaventure. Splash your way through a full day of LEGO® themed family fun at the only water park in the region designed specifically for families with children 2-12. 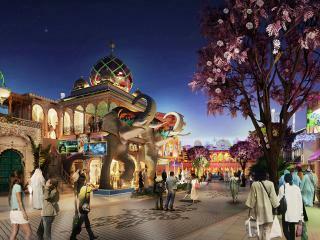 Enjoy thrilling rides, rollercoasters, live shows and attractions crammed into four action packed zones: MARVEL, Lost Valley - Dinosaur Adventure, Cartoon Network, The Haunted Hotel and IMG Boulevard. 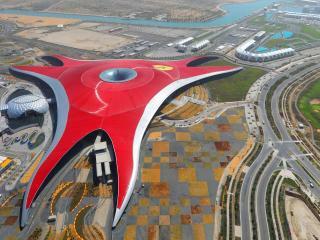 The world’s first Ferrari-branded theme park is home to a winning mix of high adrenaline rides and Ferrari inspired multi-sensory attractions including Formula Rossa, the fastest roller-coaster in the world, and Flying Aces which features the highest roller-coaster loop in the world. 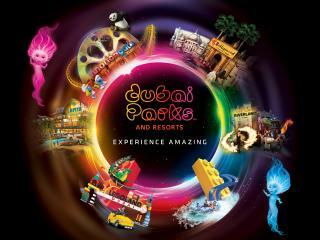 The Dubai Explorer Pass is the best choice for maximum savings and flexibility. For one low price you can save on admission to 3, 4, 5 or 7 of Dubai's most popular tours, theme parks and attractions including: At The Top - Burj Khalifa, Aquaventure Waterpark Atlantis, Hop-On Hop-Off Big Bus Tour, The Lost Chambers Aquarium at Atlantis The Palm and more. 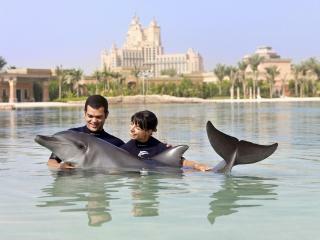 Set within 11 acres of beautifully landscaped gardens with lagoons, pristine beaches and dramatic waterfalls, Dolphin Bay is the natural setting for the fascinating Indo-Pacific Bottlenose Dolphins of Atlantis. Meet and play with these graceful mammals through a choice of two different interactions for an unforgettable once-in-a-lifetime experience. Enjoy an exhilarating ride and a sample of authentic desert life before heading to the top of the Burj Khalifa, the world’s tallest building. 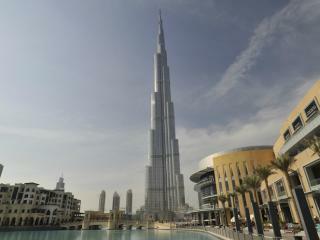 Rising over 800 metres, the views from the observation decks stretch across the city and beyond into the desert. 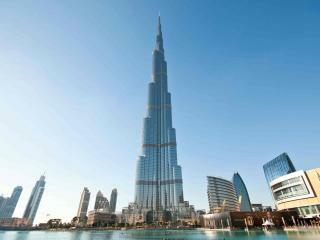 No trip to Dubai would be complete without heading to the top of the Burj Khalifa, the world’s tallest building. Rising over 800 metres, the views from the observation decks stretch across the city and beyond into the desert. Don't forget your camera! Step into this spectacular world where, for the first time, guests will enjoy cinematic rides, dazzling entertainment, authentic Indian cuisine and shopping, all spread over 5 themed zones inspired by some of the greatest Bollywood movies. Celebrate Dubai’s modern architectural wonders on this tour which includes lunch at the Burj Al Arab, the highest hotel ever built and a visit to the top of the Burj Khalifa, currently the tallest building in the world. 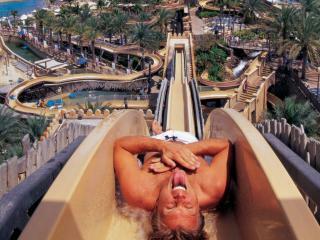 Journey into the heart of excitement at Aquaventure, the largest waterpark in the Middle East where you will find a series of thrilling waterslides, raging white water rapids, a 2km tidal river and a stunning beach front location at the incredible resort destination of Atlantis, The Palm. Our expert team is standing by to assist you with any queries. West End Shows - Mamma Mia! Registered Head Office: 171E Wingate Square, London, SW4 0AN. 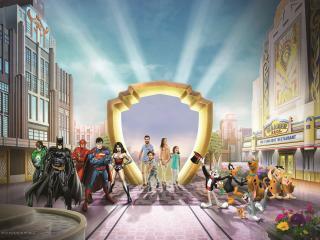 Attraction Tickets Direct is a trading name of ATD Travel Services LTD. Registered in England with registered number 4390984 and VAT Number 795922965. Travel with confidence. We are a member of ABTA which means that you have the benefit of ABTA’s assistance and Code of Conduct. 98% of our customers independently rate our service as excellent.